Moving to a new home can be a stressful process that takes time and planning. 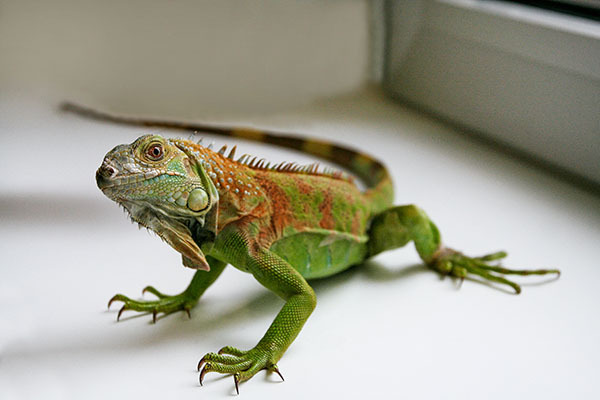 If you’re an exotic pet owner, this planning process can be even more extensive. To set yourself up for a successful Moving Day, the team of experts at MovingAddresses.org recommends taking the time to prepare your pet for the move and making sure you’re ready for a safe and easy day. Whether you own an exotic bird, a sugar glider, a reptile or another unique family member, here are a few tips to review when you’re getting ready for a big move with your pet. Do extensive research on your new community. One of the most important things you can do in advance of your move is to look into the new neighborhood and its restrictions. Find out if your exotic pet is allowed to live in your new neighborhood before attempting to move. According to the experts at MovingAddresses.org, you may need to contact the city, the county or the homeowner’s association for your new neighborhood to learn about any exotic pet restrictions in your new community. If your pet is allowed, there may be rules about how many pets you can own, or where they can stay. Getting your new home set up for your exotic pet legally is crucial for the safety and wellbeing of your family. Arrange a special space and time to move your pet. Moving Day can get hectic, so setting a time and space to move your pet will be crucial in keeping your pet calm during the day. You can decide to use your own car in the late afternoon once everyone has left to move your pet to the new home. This is often a calmer time of day and can allow you to take your time and be one on one with your pet to keep stress at bay. Keep your pet safe and contained at all times. When you’re moving, there are people in and out of the house, and often, the front door may be left open for long periods of time. It’s important to keep your exotic pet completely contained throughout the day to avoid an escape. The experts at MovingAddresses.org suggest keeping smaller pets like birds or reptiles in a cage that is covered. The commotion of Moving Day, with all the people and loud moving of furniture, can be upsetting for pets. Covering your pet and keeping him or her contained can prevent the pet from feeling the stress of the move. If possible, keep your pet in a quiet room with a closed door, away from all the activity, for as long as you can, to prevent your pet from panicking. Don’t let others handle your pet on Moving Day. Friends who are helping you move may be intrigued by your exotic pet, but Moving Day just isn’t the right time for new encounters. Your pet can probably sense that your daily routine has been interrupted, which can cause anxiety, and lead to an overly energetic or cranky animal. The experts at MovingAddresses.org recommend keeping your pet away from all your moving helpers so he or she isn’t exposed to many people throughout this disruptive day. Even if your exotic pet is usually friendly and has great interactions with people, Moving Day is not the best day for meeting new people. All the activity and moving around can create enough stress for your pet to lash out at visitors or create an undesirable interaction with your moving helpers. Use treats and toys as distractions. To prepare for Moving Day, stock up on your exotic pet’s favorite treats and toys. One of the best ways to keep your pet calm during this hectic day is to keep him or her distracted by eating or playing in a personal space. The experts at MovingAddresses.org also suggest sticking with your pet’s usual daily schedule as closely as possible, even if Moving Day does seem to throw the animal off. Staying with the same daily schedule and offering plenty of treats and toys to keep your pet busy should also help him or her stay calm and relaxed throughout the day.